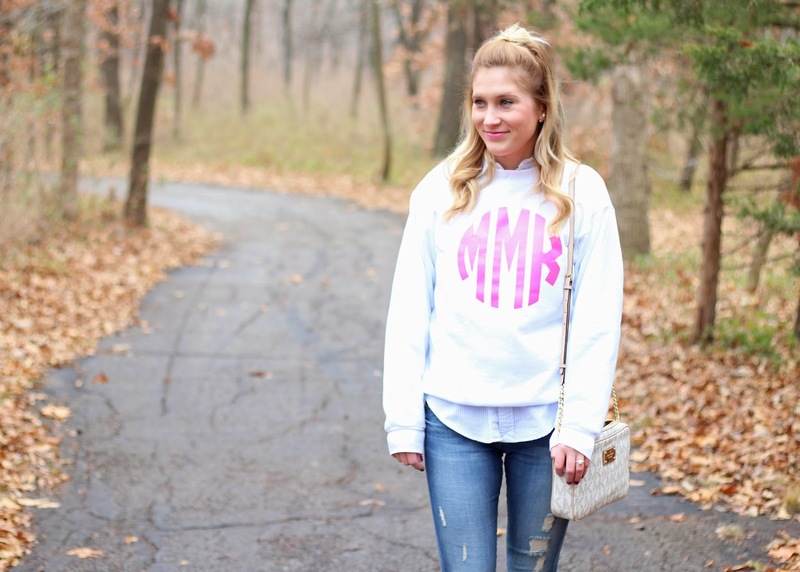 the perfect level of casual - comfortable without looking sloppy - can be difficult to attain. that being said, some days you just need to be casual. 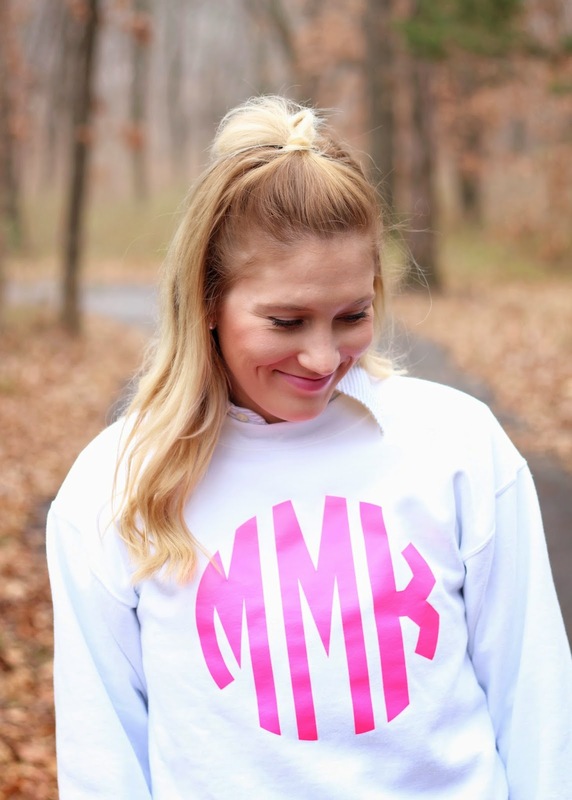 enter this monogrammed sweatshirt. 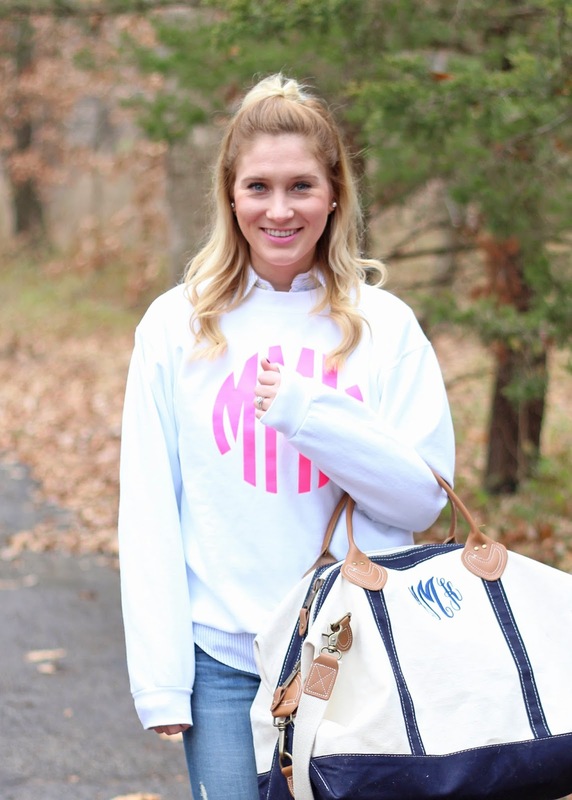 it combines casual comfort with a stylish monogram making casual totally effortless! 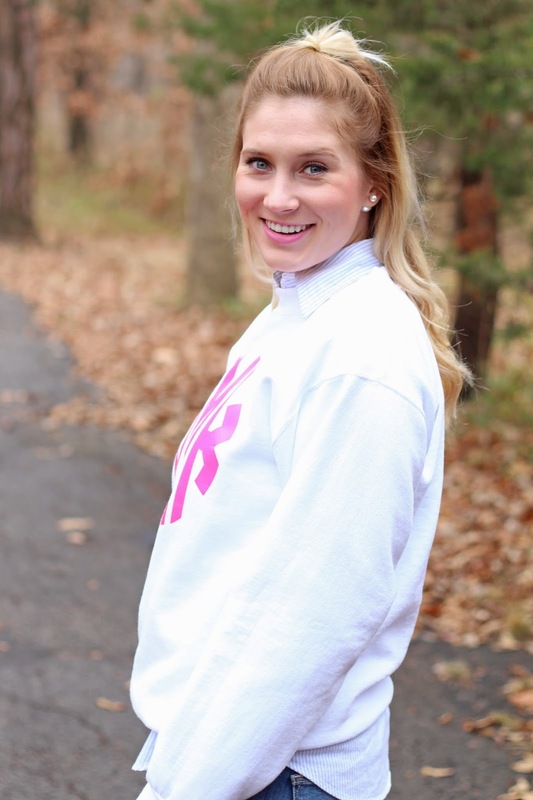 this was the only sweatshirt i packed when i went home for the holidays because i knew it could do double duty - it worked just as easily for errands around town as it did lounging by the fire. so throw a button down on underneath to add some more "style" to it, some distressed denim and classic sneakers and you are ready for that roadtrip, overnight, movie date, whatever!